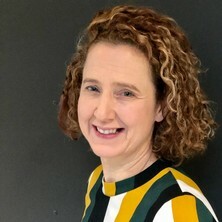 A/Prof Jennifer Broom is an Infectious Diseases Physician and the clinical lead of an extensive research programme that focusses on the social and cultural factors that contribute to antibiotic overuse and misuse. She collaborates with other hospitals and universities in Queensland and nationally (UNSW, Monash University, Sunshine Coast University, Prince of Wales Hospital Sydney). A/Prof Broom also has an interest in research around quality of care in HIV infection. As a clinician researcher, A/Prof Broom brings clinical relevance and direct translation to the research programmes she participates in. A/Prof Broom's research is directly translated into health interventions, using empirical data to create interventions within hospitals to optimise antimicrobial use. Cultures of prescribing: a multicentre study of critical factors that underpin prescribing of antibiotics in Australian Hospitals.